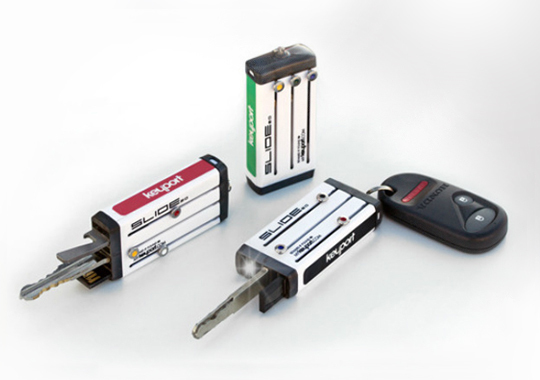 Keyport is a start-up company that set out to re-design the conventional keychain. 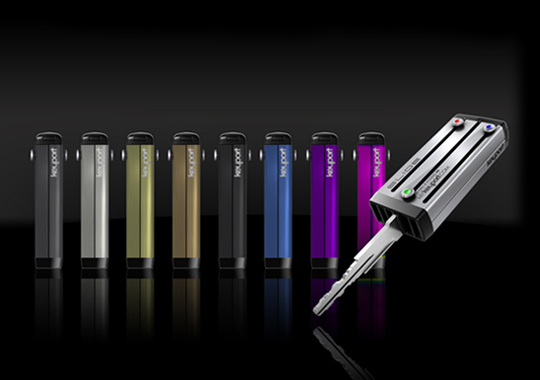 Initially, Keyport worked with several design consultants in developing the first limited edition Keyport at the end of 2008. It was a fully machined version that had expensive parts and was difficult to assemble. In 2009, Keyport contacted HaA to cost reduce and design a new “universal access” device. The universal design would include RF ID access fobs, flash drives, mini flashlight , and a host of others. The goal was to use stamped parts instead of machined, eliminate or combine internal features that would reduce machining to lower cost of the parts. After reviewing Keyport’s original design and their manufacturing processes, HaA recommended that the unit be made out of a thermoplastic such as Ultem. The new design reduced the cost of the unit by 80% and the overall assembled weight by almost 50%. 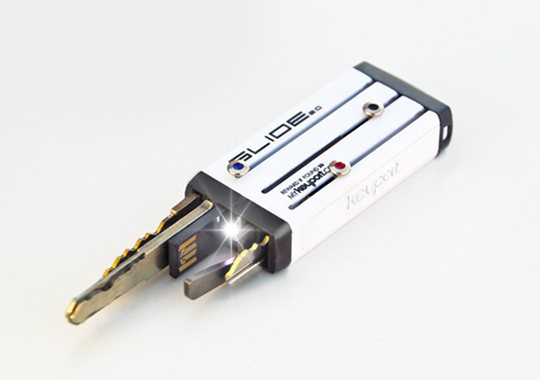 This product was released as Keyport V1 (metal clad) in April 2010. The V2 (all plastic/Ultem) was funded and successfully launched thru Kickstarter in the Summer of 2013! As part of manufacturing support, HaA introduced Keyport to local (Boston) vendors who supplied all of the injection molded parts, machined screw nodes, stamped metal cladding and Ultrasonic tooling.